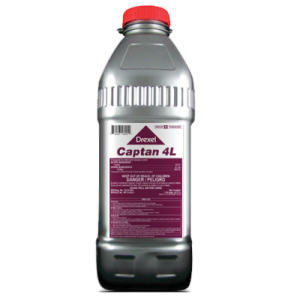 Captan 4L is an aqueous suspension used to control fungus and diseases in Fruit and Nut crops, Home Garden, Ornamental and Turf and as a soil treatment. Is Captan 4L as effective as other fungicides? 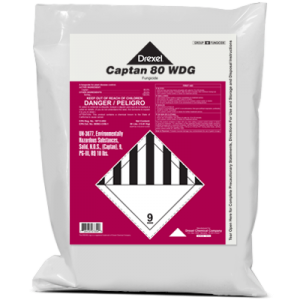 Captan 4L is a highly effective fungicide with no known resistance. Can Captan 4L be used as a seed treatment? 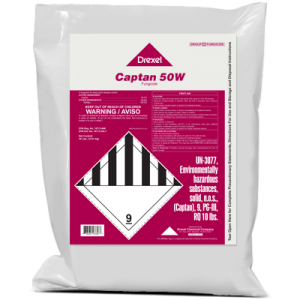 No, it is not registered as a seed treatment; however, Drexel has a Captan product that is —Captan 4 Flowable Seed Protectant. 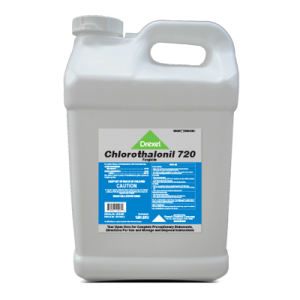 Will Captan 4L need to be reapplied after a rainfall? No, Field tests with Captan 4L have shown good retention on the leaf after wetting. It also redistributes well after rainfall or irrigation thus providing coverage on newly-emerging or expanding leaves.